3rd Place for our Gymnasts! This Monday our gymnastics club took a fabulous team to the Key Steps Gymnastics Competition at the Ashcombe School in Dorking. We had a great time and both Mr Davies and I were really impressed with their skills and great manners. 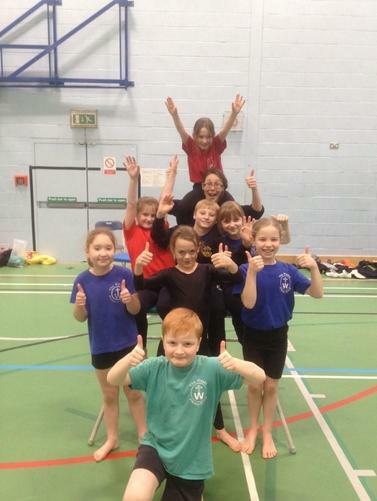 Callum Taylor in Year 4 deserves a special mention as he came second on floor in the individual’s competition. Overall our fantastic team came 3rd out of 5. Congratulations to all of you, you really deserve it!